Documents detailing the new migrant prison specify that “fencing should be aesthetically covered by foliage or other materials to limit harshness of look and detract from overt identification of fence.” Iron bars over windows must “be as inconspicuous as possible to the outside public” – while nevertheless maintaining their function of locking people up. The children’s play-yard will resemble “a daycare setting,” though a six-foot high “visual barrier” will ensure that no one can see the imprisoned kids and the kids cannot see out. 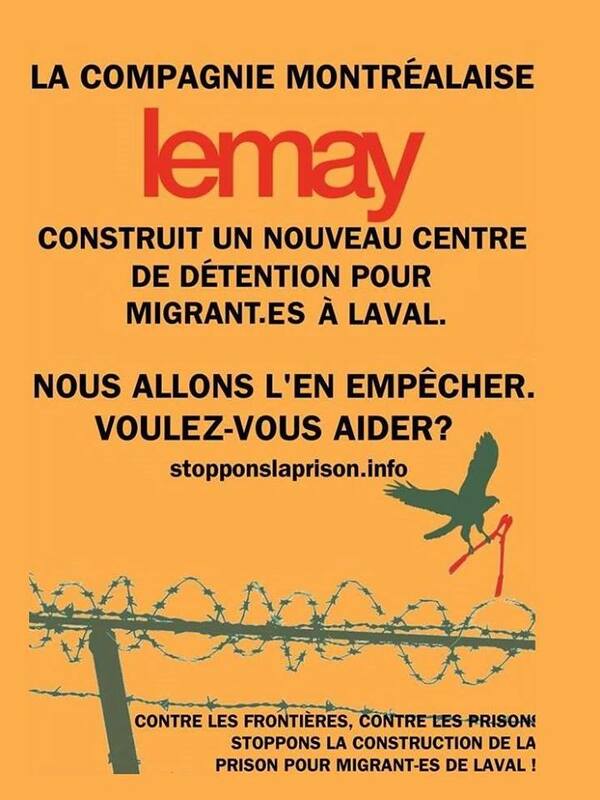 The hip LeMay Architect firm, headquartered in the gentrifying neighbourhood of Saint Henri, holds two multi-million dollar contracts to design this prison. 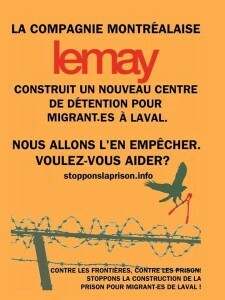 LeMay boasts of its “environmentally sustainable” buildings and its projects creating “tangible and measurable value for our clients, users and communities” but, under the sugar-coating, LeMay is helping to construct nothing other than a prison: a cage for humans, in this case to facilitate the deportation of refugees and migrants Canada wants to discard. Ultimately, the function of this particular kind of prison, echoing the debtors’ prisons and poor houses of the past, is to control the movement of the global poor – fix them in situations where their labour can be extracted most cheaply and prevent them from claiming any share of global resources – and maintain the flow of wealth from south to north.